The "Istituto di Neuropsichiatria Infantile" is located in Rome (Via dei Sabelli 108). 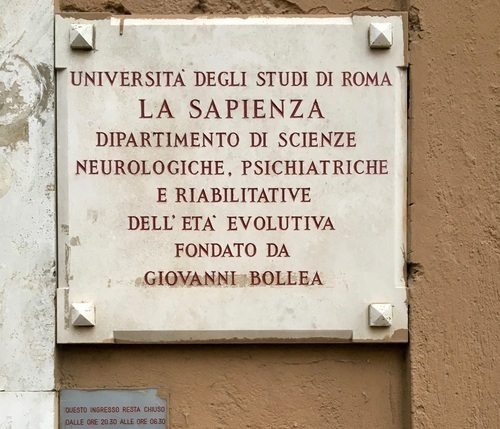 The Italian neuropsychiatrist Giovanni Bollea, thanks to the previous experience of the CMPP (Centro Medico Psico Pedagogico), founded this new centre on the 6th of June 1967, with the financing granted by the ONMI (Opera nazionale maternità e infanzia), the "Istituto di Credito", the "Casse di Risparmio" and by the board of health. 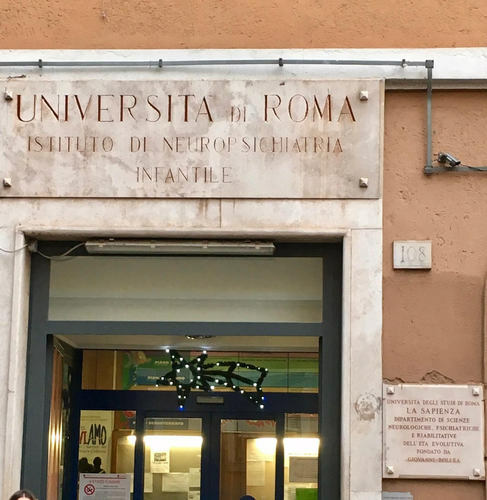 It is the first academic institute of child neuropsychiatry ever founded in Italy. Giovanni Bollea's aim was to give a specific education in order to create professional figures in interacting with children. He believed that knowing a patient and understanding his feelings could not be learnt in a university class. The building is now one of the seats of the "Università degli Studi di Roma la Sapienza", comprehending the "Dipartimento di Scienze Neurologiche, Psichiatriche e Riabilitative dell'età evolutiva". Under Bollea's guide, the Institute became a reference point in Italy, drawing many doctors, assistants and technicians.